In the interest of helping the broadest possible range of eye care patients, Dr. Di Pascuale is always seeking the most efficient methods to permanently correct vision. That’s why we’re proud to announce the latest treatment option to help nearsighted patients get 20/20 vision for the rest of their lives. The Visian® ICL™ is an implantable lens that has already been used to help more than 450,000 patients find permanent, blissful relief from nearsightedness. Because it addresses the eye in an entirely unique fashion, the Visian ICL is often the perfect option for patients who are not candidates for LASIK. However, this does not mean that this device is restricted only to patients who cannot receive LASIK. To find out more about this revolutionary procedure, please read below or call our office today. The Visian ICL is an implantable lens made of 100% biocompatible collagen polymer, designed to work seamlessly with your body’s natural chemical makeup. In addition to providing permanent vision correction, the Visian ICL offers UV protection and a quality of the image that is sharper, cleaner and more satisfying than you’ll get with contacts or glasses. This cutting-edge device is FDA approved and has a 99% patient satisfaction rate. Patients are very pleased to learn the implantation procedure for Visian ICL generally takes around 15 minutes to perform. It begins with topical anesthetic on the eye to maximizing comfort. Your doctor will then create a small flap on the surface of the eye. The lens is injected under the flap where it unfolds into its final shape. 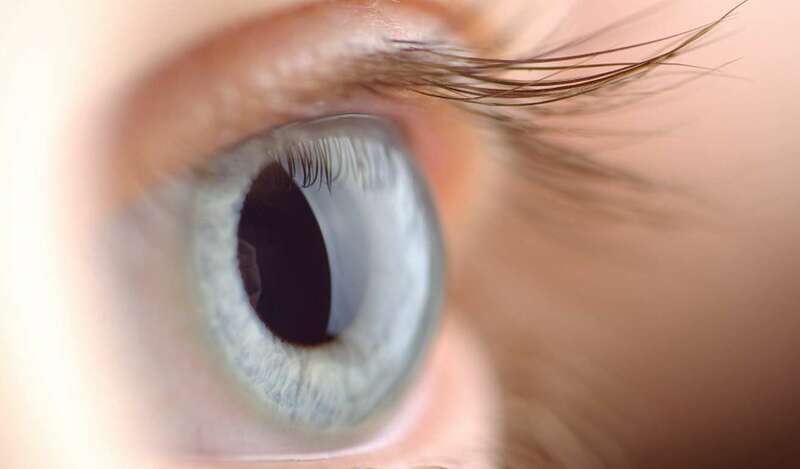 Once the procedure is over, patients experience an immediate boost in vision, which will continue to improve while the eyes adjust to their new lenses. Patients can go home immediately following the procedure. The most common types of cataract lenses are monofocal IOLs. These lenses are usually the standard option that replace the eye’s natural lens during a cataract removal procedure. Monofocal lenses only have one focusing distance. With this type of cataract lens, you will only be able to focus on objects up close or at far distances. Most cataract patients choose monofocal IOLs that allow them to focus on things at a distance and use reading glasses when needed. For those who want to achieve optimum vision correction at all distances, multifocal and accommodating IOLs are the cataract lenses for you. Different areas of a multifocal IOL are set to different powers. This helps you see clearly at all distances without having to wear glasses or contact lenses. Accommodating IOLs provide crystal clear vision at all distances as well. This type of cataract lens is designed with little hinges and supporting legs. These allow the IOL to move inside your eye just enough to focus on objects at different distances. Toric IOLs are designed for those with cataracts who want to correct astigmatism, nearsightedness, or farsightedness. This type of cataract lens has markings to indicate how the lens should be aligned in the eye. When implanted, the surgeon will adjust the orientation and position of the lens to ensure it provides optimum vision correction results. Toric IOLs are usually recommended for those with corneal astigmatism. This means the cornea is not spherical. Instead, it has a more oblong shape like a football. If the Visian ICL sounds like it may be right for you, the next step is a consultation with one of our eye doctors. During this time, you can ask any questions you like to gain a full understanding of the benefits of Visian ICL. Additionally, your doctor will perform any exams necessary to determine if you are a candidate. Please call us today to schedule an appointment.